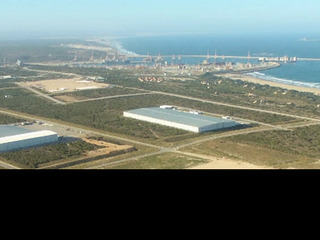 Sign-up and receive Property Email Alerts of Commercial New Developments in Coega, Coega. Take advantage of buildings and office space immediately available for leasing in the Coega SEZ and benefit from Special Economic Zone (SEZ) benefits. 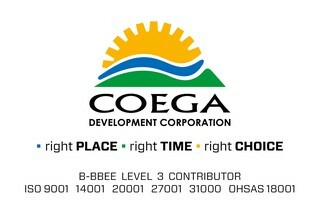 The Coega Development Corporation is a State Owned Company mandated to develop and operate the 11 500 hectares industrial land of the Coega Industrial Development Zone (IDZ), established in 1999 and is adjacent to the modern deep-water port of Ngqura, a transhipment hub facilitating trade with the rest of Africa. The Coega IDZ is specifically designed along the cluster model, linking related industries and their supply chains in close proximity to one another to maximise efficiency and minimise turnaround times. Coega currently has over 41 Operational Investors coming from a wide range of sectors which include: Automotive, Energy, Metals, Chemicals & Logistics just to mention a few. Customized Solutions For Investors ie, Serviced Sites or Built To Suite Developments.